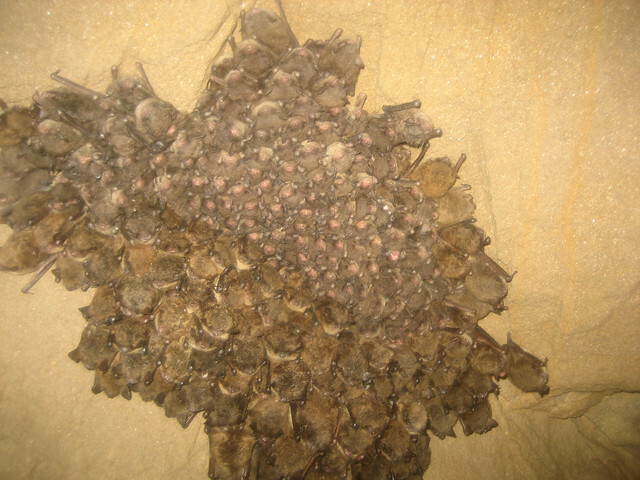 Most bats eat insects and contribute as much as $53 billion in value in nontoxic pest control. Graphic courtesy of USDA Forest Service. 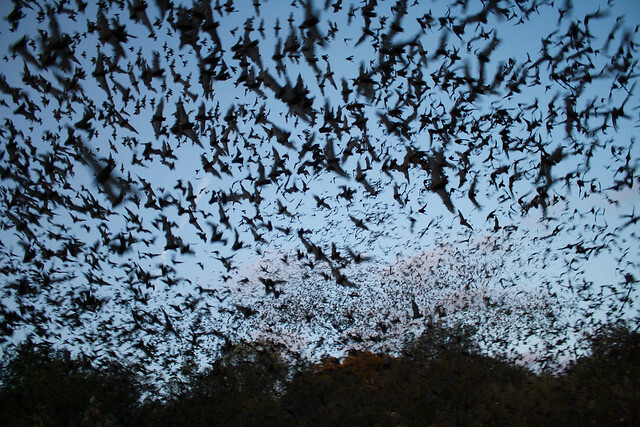 Mexican free-tailed bats exiting Bracken Bat Cave near San Antonio, Texas, home of the world’s largest bat colony. 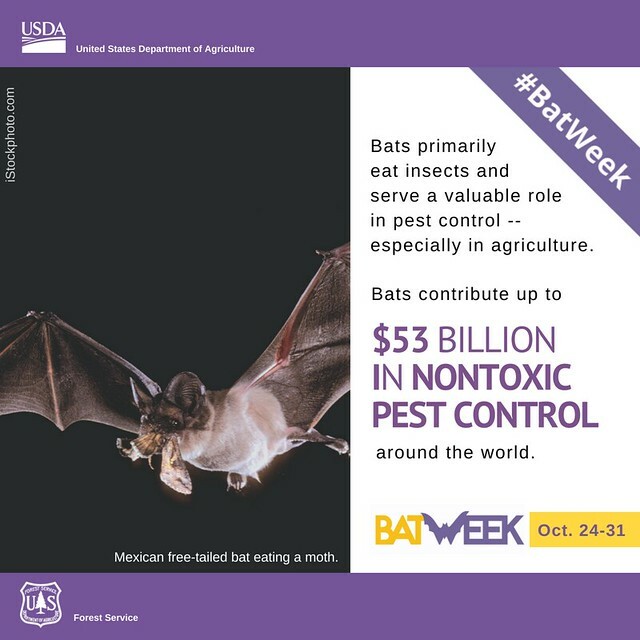 Mexican free-tailed bats are one of many bat species that contribute significantly to agricultural pest control. Photo by Ann Froschauer, U.S. Fish and Wildlife Service. You indicate concern regarding bats. Wind developments are killing millions of bats and yet the US Forest Service and BLM are committed to allowing these developments on public lands. In Oregon, wind developments are allowed to kill 2.5 bats per MW of capacity of wind turbines every year befor there is any effort to provide mitigation for the kills. This number includes Threatened and Endangered bats. If you were really concerned about the bat population in this country or the cumulative impacts that are resulting in reductions in populations, it seems to me that you would be addressing the well documented destruction occurring at wind developments. @Irene Gilbert - We appreciate the concern over the impacts of wind energy developments to bats. 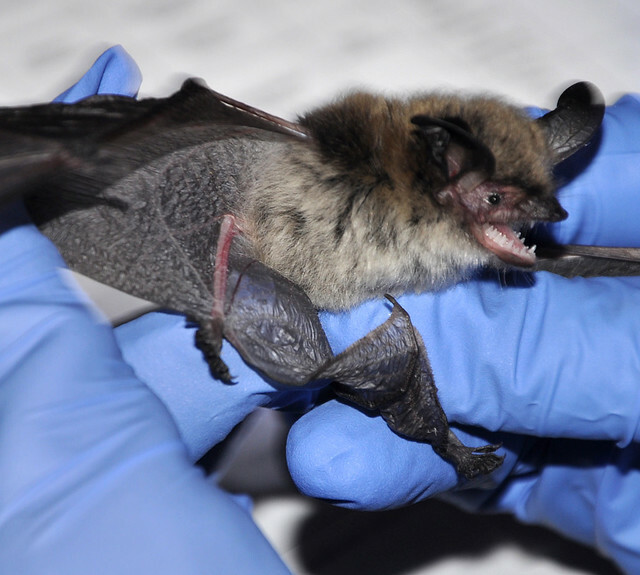 The agency uses the best available science to inform suitable locations that minimize the potential for impacts to bat populations. Our goal is to realize the positive benefits associated with renewable energy while mitigating negative effects to the environment.